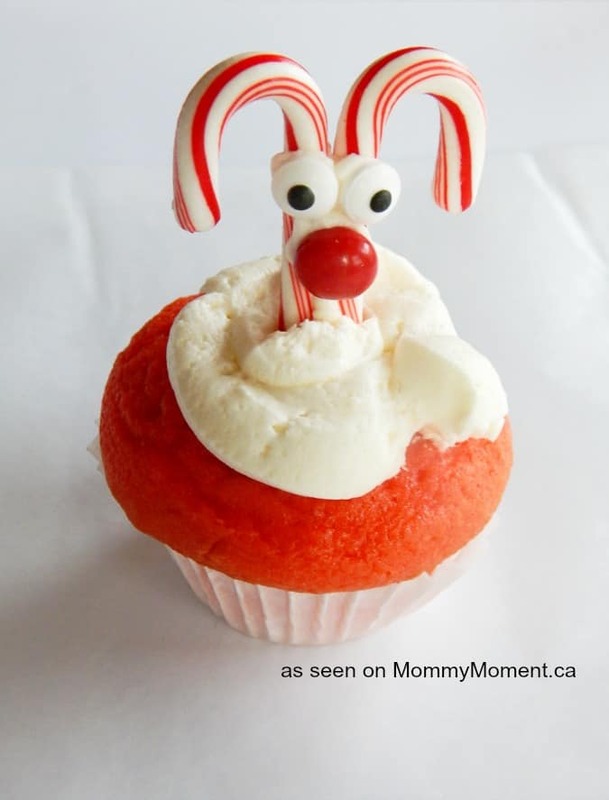 These Rudolph cupcakes made with mini candy canes and red m&ms are adorable and easy to put together and so fun for the kids to eat. Great for a kids Christmas Party. 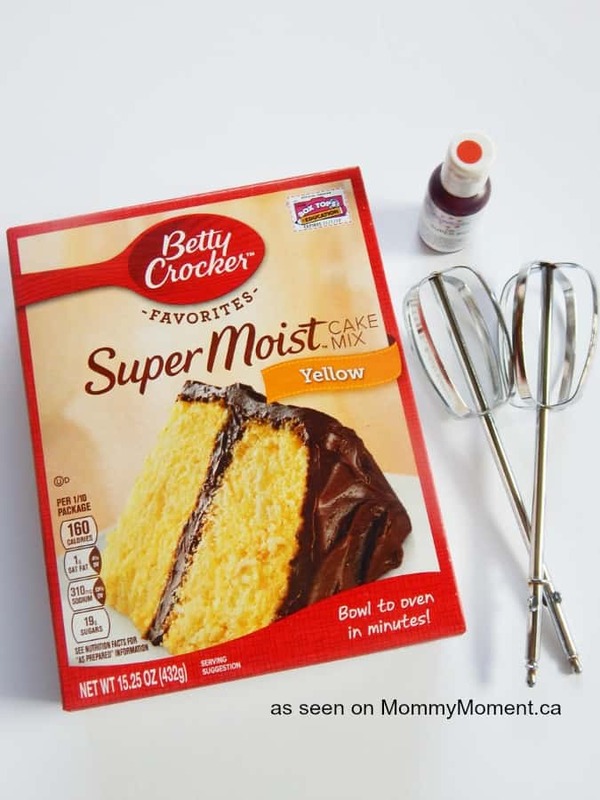 Make the cake batter by following directions on the back of the box. 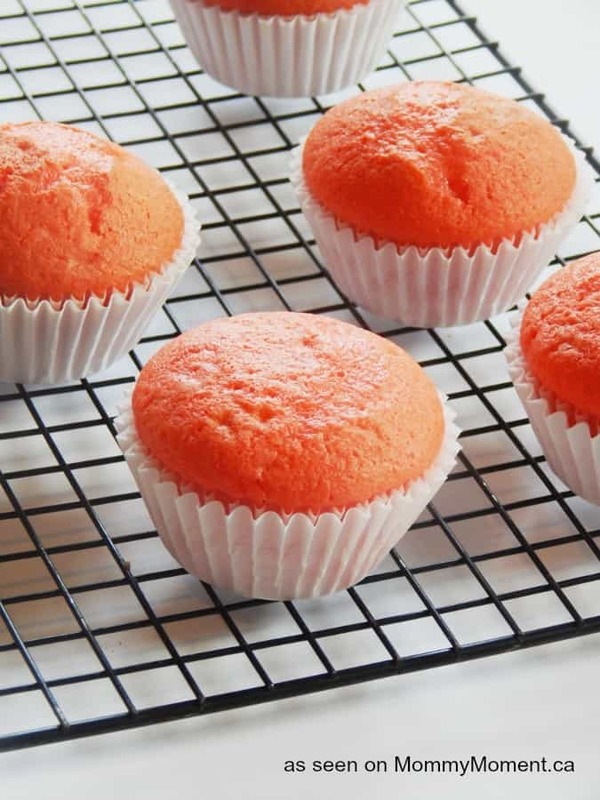 Once mixed and smooth add in a few drops of the red food coloring and fill cupcake liners ¾ the way full. Bake according to directions on the box. Let cool and begin on the frosting. To make the frosting add in 2 sticks of softened butter into a medium sized bowl. Using an electric mixture mix on medium speed until the butter is smooth a pale. Add in 2 C powdered sugar and 1 tsp vanilla extract. Mix again on medium speed until mixture is smooth. Add in another 2 C powdered sugar and 3 T heavy whipping cream and blend again until the frosting mixture is smooth and fluffy. If needed add more whipping cream or powdered sugar. Once finished scoop a little bit of the frosting into a sandwich sized zip lock bag and the rest in a large zip lock bag. Snip off a small corner for the small bag and a big corner for the big bag. 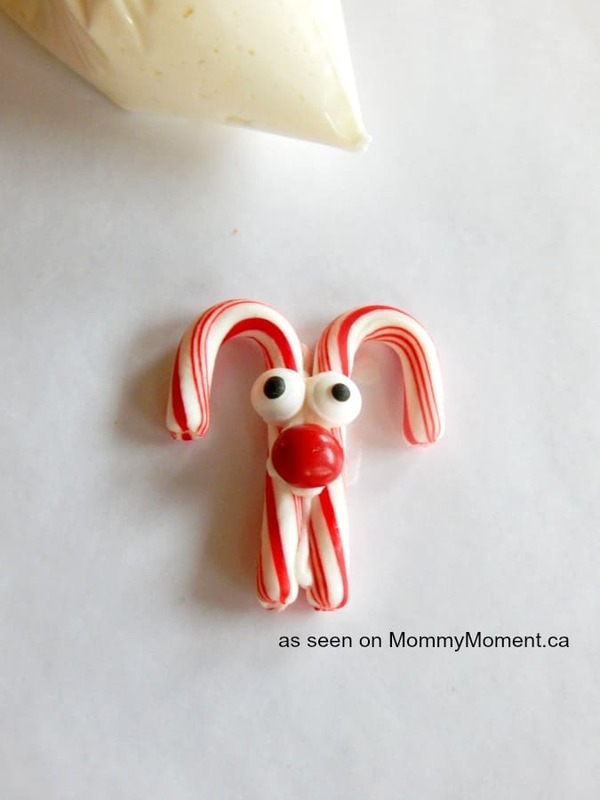 Now, start on the Rudolph decorations by laying out some parchment paper and gather the mini peppermint candy canes, red nose candy, eyeballs, and small zip lock bag full of frosting. 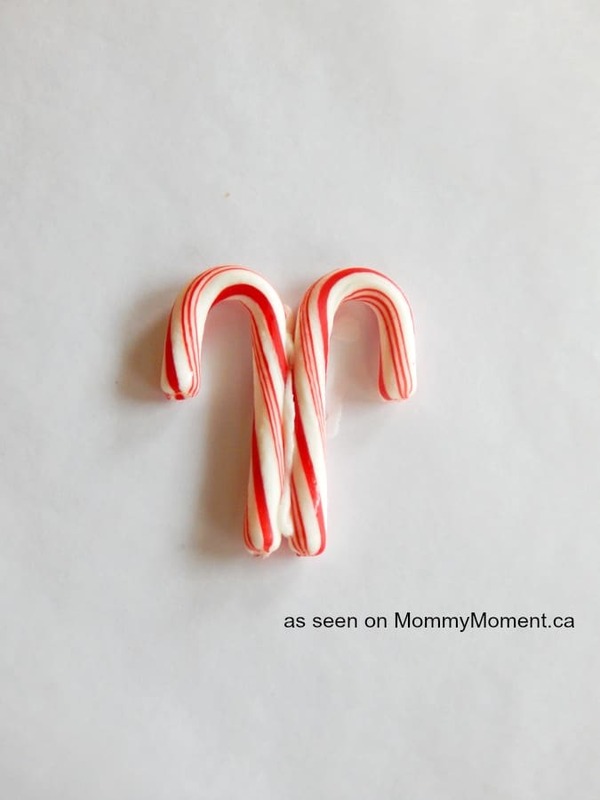 Take one candy cane and squeeze out the frosting onto the flat side of the candy cane and then add the other candy cane’s flat side to the frosted candy cane side. Lay them flat onto the parchment paper. With the frosting make 3 circles-two for the eyes, and 1 for the nose. 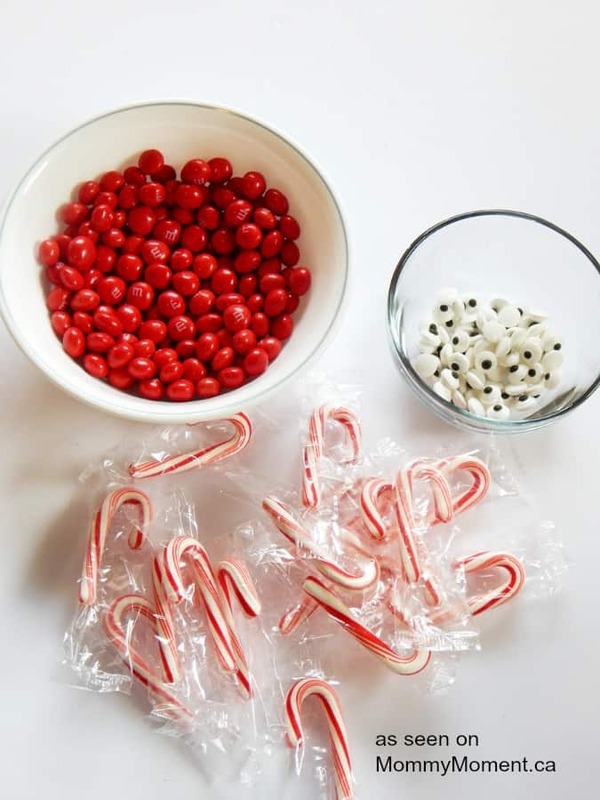 Then place the candy pieces in the correct spot. Let sit and dry for 10 minutes or so. Continue to make as many as needed. 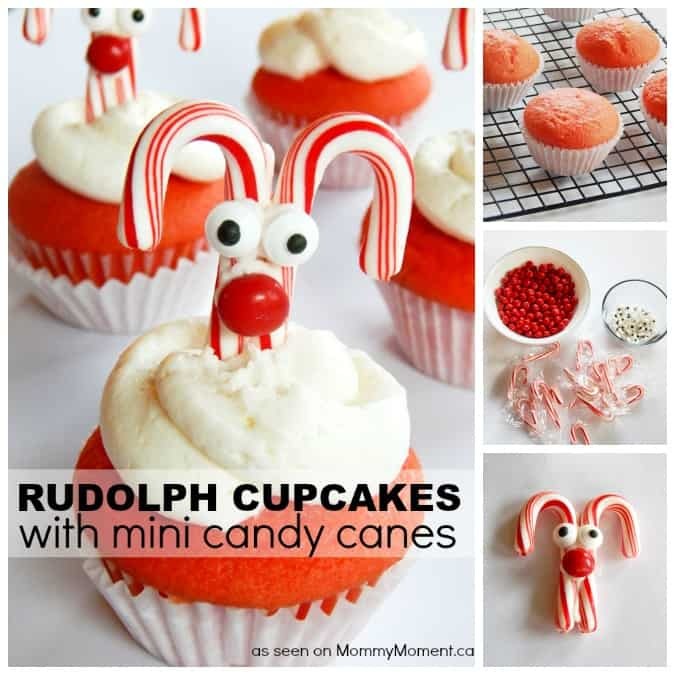 Frost the cooled cupcakes with the large zip lock bag and then add on the finished Rudolph topper. 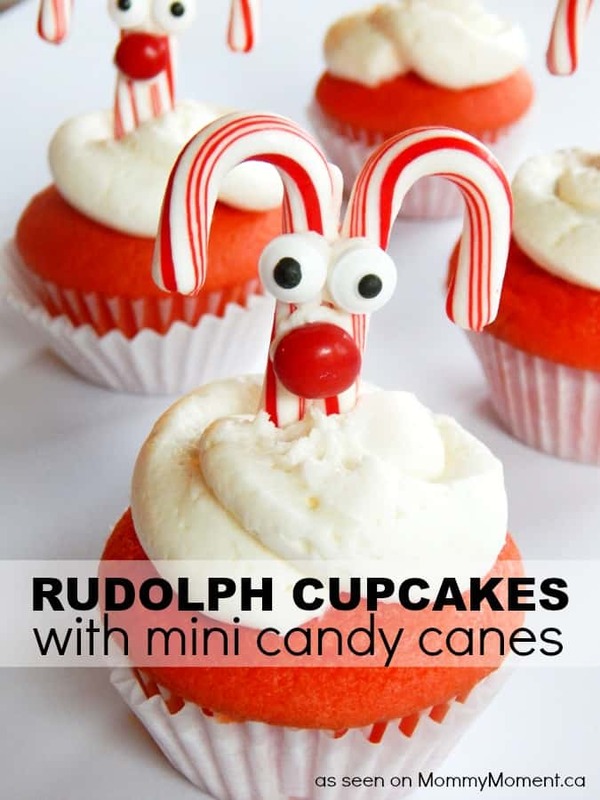 Be sure to check out these Snowman Cupcakes, Christmas Tree Cupcakes and adorable North Pole Cupcakes while you are here. 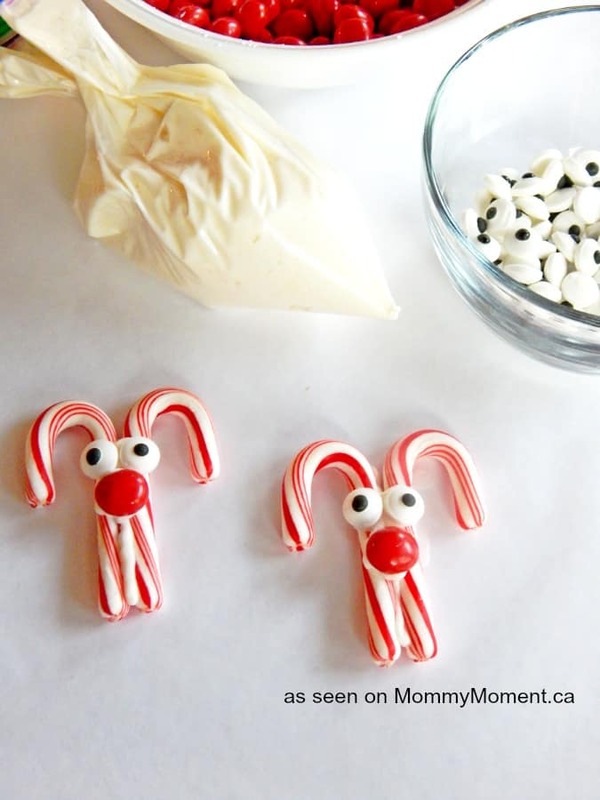 These are really cute, think I will show my daughter the master baker!! What a great idea! So cute! I would make these. These are so cute!! They look pretty easy to make too! !